In October 2015 I packed all of my life into three suitcases, sold everything I owned, and decided I wanted to travel the world for a year at 27 years old. When I set out to head to France on October 14th, 2015 for three months, I had basic plans but no full agenda as far as where I would spend my time during those months or even after Europe. But somehow it all came together each day and week as I created my next plan, each step leading me to the next, and all it took was me actually stepping out into the unknown. My two-week trip to Guadeloupe in the Summer of 2014, one of the French Caribbean Islands, ultimately connected me to France. And my week in Iceland connected me to Canada’s west coast where I spent the majority of 2016, creating a year long travel journey that I recently returned from in October 2016. The journey might have seemed somewhat counter-cultural at the time. After all, I quit my job at a renown company in April 2015 after two and a half years. I started my own business which allowed me to gradually transition, and I operated my business and did other contract side jobs until everything clicked in August 2015 after a two-week trip visiting friends in California. I grew up in a small town, that’s not so small anymore, and I grew up in a conservative culture where giving to others was most important. But what about giving to ourselves? Loving ourselves? To religious communities this concept might sound foreign or post-modern as some would call it, but I call it common sense. I believe that God and this Universal love that connects us all–absolutely wants us to live healthy, happy, and whole lives. If we live our lives constantly for others… striving to be the best we can be by measuring up to others’ expectations instead of our own….focusing on performance and the status quo… an invisible code of conduct and set of rules… the societal norm. If we really never stand up and ask the tough questions, we’ll end up feeling like we don’t exist at all and that our voice is null and we are just surviving the routine of day-to-day life, being shaped by a culture that we have become desensitized to. One of my favorite teachers from high school said a profound quote my senior year. She said, “If you don’t make your own decisions in this world, you don’t truly exist.” Thanks, Karen Roberson! This statement has stuck with me. And a few years ago, I found that I wanted to settle for more. I asked myself the tough questions, “What do I want and need?” “What does this season look like for me?” I think it’s fair and healthy to focus on ourselves, love ourselves, and be the healthiest and best version of ourselves that we can be. Because it is from that place that we can healthily and wholly love others well and we can then operate from a place of authenticity instead of performance. I’ve had many of my friends say to me, “I’m proud of you for doing you, and stepping out boldly and doing what you want to do for your life, not based on others’ expectations.” I really appreciated that because in a culture where people sometimes get married younger, it can seem like your life looks really different at least in your early twenties. But then around 25, I had this epiphany that my journey and timeline was going to look somewhat different. And I wanted it that way. I wanted the best timing for me. We all want to be able to relate to our friends in all seasons but I just think it’s important to live our lives on our own personal timeline and how we want to live, not pressured by society. So now I have friends in all seasons of life and I’m grateful to learn from them and to share life together. And this topic begs the question, why does every woman’s life have to look the same? Or every person for that matter? What if our stories didn’t have to look exactly like everyone else’s? What if people’s lives aren’t perfectly ordered along the same timeline? Everyone’s journey is different. There are people who don’t go to college, people who can’t have kids, and the list goes on. I could not limit myself to standby and just think that there was only one way to live my life in our society or that I had to operate on a certain timeline or in a certain way– I wanted what I needed for my journey, and I wanted to do things for me and my life that I had always wanted and didn’t even know I wanted until I paused and asked myself that hard question-“What do you want?” [In my mind, I saw the scene from The Notebook, where Noah asks Allie the same darn thing. What do you want? What do you want?!] I wanted to know who I was before I decided to find a long-term partner. I wanted to know my own voice and what makes me come alive. I wanted to be sure of who I was and who I wasn’t. Now that I’m getting my bearings for my next direction — I’ve reflected a lot on the past few years and the incredible journey that I was able to take this past year. I also realized that I learned so much about myself and life and had many harsh realizations, a big one being that not all friends will make the journey with you and not all friends are as close as you thought. I’ve always cared deeply about my friendships because I wanted to be the type of friend that I wanted in my life and be the best friend I could be, but then I realized that friendships go in seasons just as life does. And holding onto friends that are no longer supposed to be in your life that season really doesn’t serve you well at all, or them. I realized that I didn’t have to put so much pressure on myself to be the perfect friend and maintain all my friendships. I trusted that my real friendships would naturally flow and they did. And I trusted that my new connections would come, and they did. I also realized that there is much more judgment in the world than I ever thought possible and I learned that people would criticize and question me for my unconventional year off. But the beautiful thing was, when I left for France, I stopped caring about any of that criticism. Maybe it’s the wisdom we gain as we live life and get older and we go through hard seasons and we learn. Experience really is the best teacher. At a certain point in your life, you have to realize that it’s ok if everyone doesn’t approve of you or what you’re doing in your life. It doesn’t matter what others think. As long as it’s healthy and within reason and you have real friends who can be honest with you if you’re not making healthy decisions for your life, we simply have to do what’s best for us. We should never feel shame or guilt for our joy and our success. Brené Brown, in her book, I Thought It Was Just Me (but it isn’t): Making the Journey from “What Will People Think?” to “I Am Enough” says, “It’s actually not our failure that we fear, it’s our greatness.” And that’s true. We’ve all experienced it — something goes right in your life and others seem uncomfortable. But that should never stop us from moving forward. We can’t get stuck in people-pleasing, that’s not fair to yourself or anyone. I used to be a chronic people-pleaser. Now I focus on genuine kindness that’s in balance with who I am and I don’t overextend myself. And never mistake my kindness for weakness. The more you love yourself and stop apologizing for your life and successes, the more you can celebrate others’ successes. You no longer feel threatened by the success of others, but instead you own your life and voice and are then able to celebrate and be present to others. I wrote a vision board for 2016 that said, “The world needs your untamed spirit and your bold ideas.” “Don’t dim your light for anyone.” The best thing we can do for ourselves and the world is to shine brightly with all your gifts and passions, flaws and imperfections, and all of your humanity. Because that’s what changes the world. Choose self-esteem, not arrogance. You can know your worth and honor the worth of others at the same time. When we do something in our lives that is different or if we change and evolve, even in the smallest ways, there can be criticism that comes our way. Questions like: “How are you able to do that? What about your family? What about a career? What about getting married and having kids? ” I learned over time about how to deal with the critics and was increasingly grateful for the friends who celebrated with me. I’m sure these are things that people in all seasons of life go through. Once you are dating someone, are you guys going to get married? Once you’re married, when are you going to have kids? Once you have one kid, when are you going to have another kid? When are you going to buy a house? I’m sure it only gets increasingly more complicated and pressured for women to compare themselves as they transition to other life phases. What does their marriage look like? Do they have the same experiences? Is she a better wife or mother? Is she this, or that? We all experience this. It doesn’t matter if we’re single, coupled, married, or divorced, parents, not parents, etc. The good news is: it just doesn’t matter. Choose confidence, not comparison. It will change your life, I promise. Be content and grateful for what you have and set intentions on where you want to go. What matters is that you are living your life and that you know what you want for your life to be healthy, happy, and whole. Don’t get so caught up in scrolling through other people’s lives on Facebook and forget to see your own right in front of you. So what about work and coming back from traveling? What about job security? Well, I think the truth is, job security is somewhat an illusion. People unexpectedly lose their jobs, the economy can crash, and we have to take risks to get where we want to be. Maybe that’s starting a new job or starting a new business venture. It looks different for everyone. But I knew that the risk of quitting my job and making an international move was worth the reward. The experience, the lessons, the friendships, the connections. My two weeks on the French Caribbean Island of Guadeloupe led me to working with an organization in France and connected me to my gracious host for 2+ months in Lyon, France. I was able to visit Switzerland and the village where my family is from and honor my heritage. And my last week in Europe was spent in Iceland which connected me to Canada where I worked and lived for 7 months on the west coast of Vancouver Island. And I know more connections will come. I think we have to utilize our skills and passions, and my fluency in the French language has been a great asset to me. I also have had many potential employers commend me for my year of traveling — it shows courage and confidence, it shows skill and the ability to navigate and utilize resources. It showed my diverse management experience and my work in several different industries and cultures, and so much more. So I am always proud to list my past and future travels on my resume. Coming back from traveling can present certain challenges — you might have to do contract or freelance work for a while or odd jobs, but many people who follow their passions and dreams do the same — musicians, artists, travelers, and more. So don’t be afraid to take time off and a working holiday — the right employers will validate your experience and you’ll have no problem making the next career move if you use the same courage it took to travel the world in the first place. It also allows space to consider new job paths and opportunities and exploring creative ways of making a living. Money: How in the H*** Can You Afford To Travel? This has always been a popular question. And often my response has been, how can you not afford it? I couldn’t afford not to go and risk everything for this grand adventure of a lifetime and the experiences that have shaped me into who I am today. I think so often we wait to do things in life until it’s the “right time”, until we can afford it securely or until everything seems perfect. But that’s an elusive goal, and I think the time is always now. From what I’ve experienced in my 28 years, the time will never be just perfect. Getting creative and resourceful with our income and provisions is mostly the key…I sold everything I owned and anything I didn’t need for traveling, including my car. I had a savings and arrangements for volunteer work exchanges abroad, as well as contract opportunities. When it comes to living your dreams and making things happen, you really have to do whatever it takes to get there and trust that the next steps will come, and they always did. Many travel bloggers focus on just travel tips and top things to see and others cover the stories and experiences from their travels. I like to focus on both because I love sharing tips for others to gain insight from as well as share the stories and experiences of my journey because it’s those unique moments and life-changing lessons that made up my travel journey as well. I learned so much from people all around the globe and I am so grateful for every experience and every person I met. There are also multiple ways to travel. I have visited many places over the past 14 years, doing many mission trips and volunteer works from Puerto Rico, across the U.S., to the Dominican Republic, and Guadeloupe, the French Caribbean island. I have a passion for volunteer work and helping non-profit organizations. I’ve done a lot of this type of work which has opened up many opportunities for travel as a perk to being a part of some amazing causes and missions around the globe. I often invested my own money in funding volunteer trips as well as raised funds for part of the costs through non-profit organizations. Another way I’ve been able to travel to several places around the world and the U.S. is personal connections and friendships. I’ve met people from all over the world and have become friends with some amazing people that have hosted me over the years. I’ve done travels out west in Arizona, Utah, Colorado, Wyoming, California, and Washington on several adventure trips. 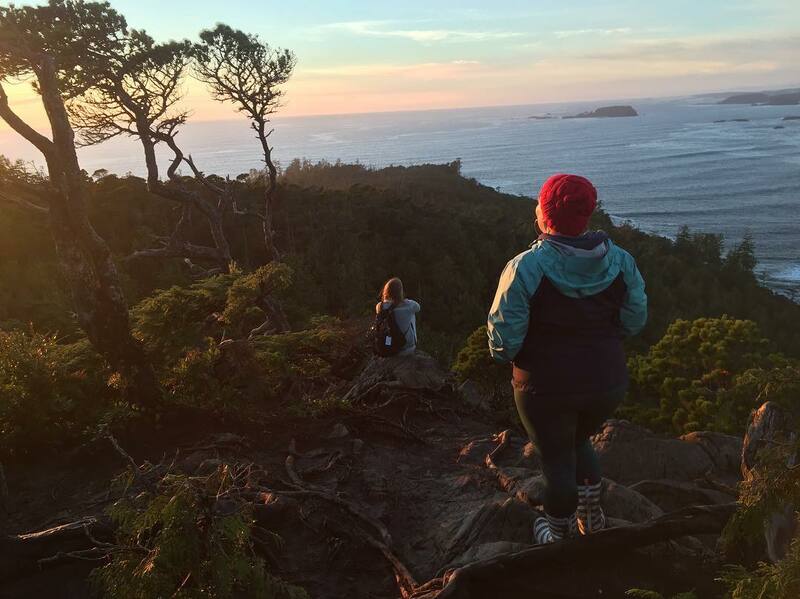 I’ve worked as a trip leader for organizations, opting to camp for lodging which is very affordable and fun and has led to many amazing adventure trips with friends. I think there are many ways to incorporate travel in your life — volunteer work and work exchanges, vacationing, working for global organizations, and more. I love vacationing with friends and family, and I’ve appreciated many of my travels by spending time in places solo for longer periods of time. I get to be a part of the local culture and experience what it’s like to live in each place and I’ve met some amazing people that way. And I wouldn’t have met these people most likely had I not been traveling solo. In every city I’ve been in around the globe, I’ve dined with people from all over the world, sharing our stories and experiences over food and drinks, and journeying together on adventures. There are many ways to travel affordably and find amazing deals on airfare even if you haven’t racked up points for flights, etc. When I’m planning a trip, I’m always looking for the cheapest route to get to my destination. It doesn’t have to be the shortest route, which is often the most expensive. I want the best route, and I’m willing to extend my travel to do that, especially if you’re planning a trip closer to your departure date, you’ll want as many costs cut as possible. For example, when I booked my trip to Vancouver Island in Canada in February 2016, I looked up all possible ways to get there. The cheapest way was to fly from Nashville to Seattle, and I had a friend who lives in Seattle who hosted me en route to Canada. I took the ferry from Seattle, Washington to Victoria, British Columbia, and then I took a 6-hour bus ride to my destination. So my total cost to get to the west coast of Canada ended up being around $325. Yes, really. If you do the research, and take the time to find the best prices, it’s incredible what kinds of travel deals you can get. It also helped that when I traveled to Europe it was off-season, in the Fall, so prices were cheaper. I chose to go through Iceland because trans-Atlantic flights are much cheaper! And the timing was just incredible when I booked my travel to Canada, so I also waited for the right timing and found incredible prices on travel fares. Knowing I didn’t have to explain, I did choose to shed light on how I was able to visit my friends in Cali and make that 2 week trip happen by being resourceful. These factors included: being on the brink of starting a potential new job that I ultimately didn’t take because the opportunity to head to France was right in front of me. The company I was going to start working with couldn’t bring me on board until the end of August and I had 2 weeks free in between. I had a free flight with Southwest from Rapid Reward points that accumulated from my previous job. I had friends who graciously hosted me for 2 weeks in their homes, and all I had to pay for was food, some transportation costs, and Disneyland. And, I had never been to Disneyland at 27 years old, so umm….it was about time!!! 🙂 And I gifted my friends of course for hosting me by covering a meal, etc. I would have had the same food costs and similar expenses as I did in TN for 2 weeks, so my expenses for that trip were very affordable. It sounds much different when you hear the reality vs. just looking at someone’s life through Facebook. 😉 So utilize those travel resources, free flights and points, and do your research!! Don’t apologize for it either. And take every opportunity you can get to travel! There are many women every day and every year who travel the world solo, backpack in hand, and no fear in their hearts. The notion that women should be on guard constantly is mostly a fear-based media and movie concept. It is important however to be vigilant regardless if you’re male or female and take precautions in potentially dangerous situations. The world is beautiful and loving and also can be harsh and unsafe. But we can’t live out of fear. One of the things I love about traveling solo is waking up in a strange city ready to explore uncharted territory. It’s such an adventure! Many times I stay in one place for a long time so it becomes like home and I know the areas very well. I prefer to travel that way to experience the local life and learn from the people and their culture. It’s one of the reasons I love travel… exploring different cultures! Things that are different from me. 🙂 Sometimes it takes adjustments and it doesn’t mean there are never challenges, but my love for travel and adventure exceeds the fear that might ever arise. I’ve had a place of my own for most of my adult life and I was happier with very little, selling everything I didn’t need and packing my life in a suitcase 🙂 I found that less was more. I was happier with that freedom of being a nomad! Don’t get me wrong, I like nice things 🙂 I just like to keep it simple too. So I knew that when the time came for me to have a place of my own again, I would move forward in that direction. But I plan to always travel affordably and keep a home place in one city and venture out from there, whether that’s solo or with friends or a partner. My parents have lovingly hosted me in between my travels and for the holidays. So it’s nice to have a place to call home to come back to! Many rewards speak for themselves — the experience of seeing beautiful, foreign places and people; exploring different cultures and learning from them; seeing what it means to be a global citizen and not just a citizen from your homeland; you see and learn history tangibly and from different perspectives than just your history books; you make friends around the globe; taste food you’ve never seen before; and most importantly — you find yourself and discover more about yourself than you ever did in your comfortable apartment and city. You go beyond what you thought you could, you push yourself, you step out of your comfort zone into the unknown, and you learn how to trust yourself and your voice. You become more you every day along the journey. Because instead of acquiring more, you have shed what you don’t need and everything that you’re not. Layer by layer, you begin to see your core and what you are made of; not things or ideologies, but truth and beauty and energy and life. And you meet other people along the way who are doing just the same, and moving forward every step of the way. In my travels, I learned so much about not only myself but also life lessons in general. Things that have shaped me into who I am today. I learned more about relationships and communication and how to let go and own who you are and not care about others opinions or let them affect you. The reality is, seasons change and people get disconnected or our lives change and evolve and that’s ok. Some people are only supposed to be in your life for certain seasons and the people that are meant to be in your life in each season will be there, no doubt. I learned a few years ago that it’s ok to let go and to move forward with your own life and not try to hold onto every friendship, because it’s not possible. You change, they change. It’s life. So you move forward and trust the ebb and flow of life and the seasons. There will undoubtedly be people who are uncomfortable as you transition into a new phase or new season in your life. There may be people uncomfortable with you transforming or growing. Even if you’re cheering them on in their endeavors and celebrating them and their successes, you may still get weird reactions. Because we’re human. But it’s not about you in those moments. It’s ok to still be you. You may have critics or haters, people who question you and who you are, but you must stay focused on who you are and your journey. It’s important to have real friends in your life that are there for you, know the real you, support you, and can also be real with you if they’re concerned about you. You want friends who are honest with you and want what’s best for you, not friends who criticize your every move or peace out when things start going well for you. You want friends in your life that show up for you, where you can mutually celebrate each other’s successes and happiness, and encourage each other through the hard seasons. If a friendship is one-sided and mostly full of criticism, walk away. If someone doesn’t genuinely want you to succeed, or is happy to see you fail (harsh, but true), or can’t be happy for you and celebrate with you in your successes and happiness and well being, please let them go. Don’t allow them in your life. We get to choose who we let in and who we surround ourselves with. I think our relationships are one of the most important things in life. So I think it’s important to choose friends who we can be our best selves with, and not apologize for it; friends who we can be our real selves with; friends who can handle us, our strengths and our shortcomings because we’re human; friends who uplift us, who add joy and energy to our lives, and who ultimately enhance our lives for the better and don’t bring us down. Ultimately, don’t give up on you. Don’t give up on your dreams. Show up for yourself. Know your voice. Own who you are and own your confidence. You can do so much more than you ever thought you could and you can go so much farther than you ever thought you could go. You will have some friends that will stay close and connected, where you will always pick up where you leave off. Wherever you go and however you grow and blossom, you will have friends that may peace out, friends in different seasons that can no longer relate to you, even friends who you’ve celebrated in each of their life seasons, and you have celebrated their successes and happiness and their adventures in love and marriage and kids. And you can know it’s still ok to move on and be different and to have a different journey. The timing of your seasons may look different, and it’s ok to let go. You must go on your journey anyway. You must trust that your journey and path is yours, and it doesn’t have to look like everyone else’s or the societal or cultural norm. Dare to be different if that’s where it leads you. Because the reward is worth it. It’s not that those friends you’ve known for years no longer may support you, it’s that it doesn’t matter anymore if they do or don’t. Because you didn’t need anyone else to believe in you, you believed in yourself. Through every adven ture, you learn how to trust yourself and your voice, how to handle challenges of all kinds and you finally can take the time to be alone with yourself and to get to know you a little more. You not only discover places all around the world, you discover the places within yourself that you never knew existed, passions, gifts, desires, and that in itself is an adventure. And you’ll discover that there’s a timing for everything in each person’s journey. Always trust the timing. As I actively wait in each season, I live and move forward into my unfolding journey. And everything I’ve wanted to do up until this point, I’ve done. I have many more goals and dreams ahead, and I’m content at the same time with the things I’ve accomplished and the dreams I’ve realized at this point in my life. And I’m grateful beyond words. We must honor each season as it happens and all the people in that season. My Aussie friend Kristin, who I met while living in Canada, inspired me with many great life lessons and stories and perspectives. I love her dearly and she has been an important part of my journey and is now a sister-friend who I’ll always be grateful for. I cherish the season we shared and all the adventures we had. I will never forget some of the many tokens of wisdom she shared. “People come into your life for either a reason, a season, or a lifetime.” “And never doubt yourself, especially not because of anyone else. You’re a strong woman, never forget who you are. Stay confident and keep living your life and not giving a f***.” Right on. Thanks for that, Wilso. Love yourself well, love your friends and family well, and let them go if the time comes. Surrender to your own path, and trust the ebb and flow of each season and each relationship and opportunity in your life. Life will naturally ebb and flow just as the ocean does. The ocean even has its own rhythm. These are things I meditate on and practice. Here’s to an adventurous year ahead!